The event, co-organised by the Ministry of Industry and Trade, the Ministry of Planning and Investment and the Vietnamese Embassy in Cambodia, has attracted the participation of around 300 delegates and about 250 businesses from the two countries. 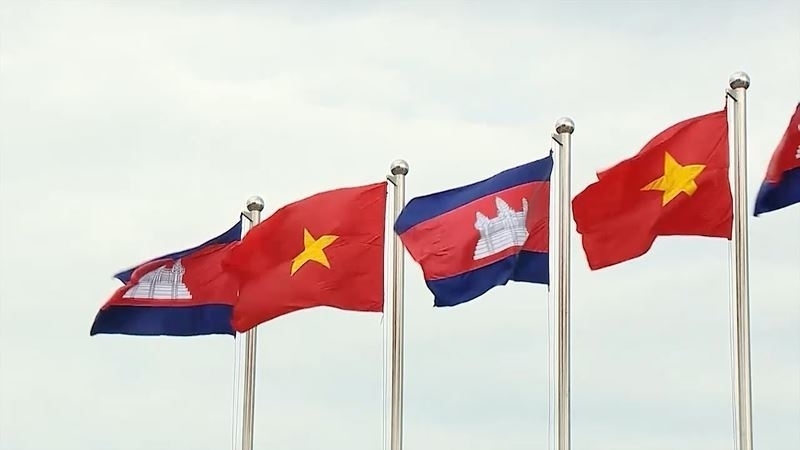 Speaking at the forum, Charge d’Affaires Nguyen Trac Toan said that the 50th anniversary since the establishment of Vietnam-Cambodia diplomatic relations has been observed through a wide range of activities in the two countries this year. Ministries, sectors and localities of the two countries have successfully organised many important activities in all fields of politics, defence, security, economy, culture, and people-to-people diplomacy, significantly contributing to fostering the friendship, and time-honoured comprehensive cooperation between Vietnam and Cambodia, for the benefit of the two peoples. Vietnam has thus far launched 190 investment projects in Cambodia, with total registered capital worth nearly US$3 billion. Meanwhile, Cambodia’s investment in Vietnam is also on the rise, with 18 projects, with capital at over US$58 million. Two-way trade hit US$3 billion per year and the two countries are striving to raise the figure to US$5 billion in the following years. The Cambodian officials voiced his hope that the fair would enhance the business connections between the two countries as various contracts will be signed. He affirmed that the two sides will continue working together in creating optimal conditions for business links in the mutual interests of both sides.